Samuel G. Chapman has served as a Berkeley Police Department, California police officer, a police consultant, an assistant professor in the School of Police Administration at Michigan State University, and as undersheriff of the Multnomah County Sheriff’s Office in Portland, Oregon. In 1965 he was named assistant director of President Johnson’s Commission on Law Enforcement Administration and Justice. After the 1967 report Samuel Chapman was appointed professor of political science at the University of Oklahoma in the Police Administration Program, where he served for 24 years. 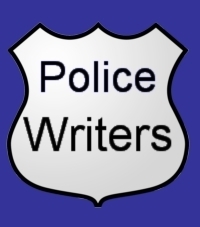 Samuel Chapman is an expert on police use of deadly force and the use of canine units. Samuel G. Chapman is the author, co-author or editor of ten books: Police Dogs in North America; Cops, Killers and Staying Alive: The Murder of Police Officers in America; Police Patrol: Operations and Management; Police Administration: A Critical Study of Police Organizations in the United States and Abroad; Police Patrol Readings; An Analysis of Assaults on Police Officers in Forty-Six Cities; A Descriptive Profile of the Assault Incident; Dogs in Police Work in Oklahoma; Introduction and Methodology to the Study of Police Assaults in the South Central United States; Police Murders and Effective Countermeasures.